Smoke Machines. The warranty covers manufacturer faults and does not cover misuse of the item, for example a 'blown out' speaker. Copy this link into your browser Video will open in a new window. Red, Green and Blue LEDs Built-In. 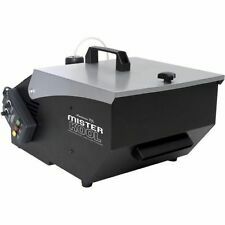 LE MAITRE Pea Souper Dry Ice Machine Controllable Low Lying Fog Effect RRP £700! Le Maitre Pea Souper Dry Ice Machine. Classic, industry standard dry ice machine by Le Maitre. Power: 500W. - 3 RGB LED lights will make smoke fog into a colorful color, that will enhance your smoke vision. -First To Know: The Fog Liquid is Not Included, and you have buy one yourself to make it generate the smoke. Condition is Used, the liquid for the smoke is almost empty. This unit is a professional haze machine, the quality of haze as well as the economical fluid consumption make it an excellent choice for nearly all application requiring the use of haze/smoke. The remote connects to the unit using any standard XLR cable. Power: 500W. LED Light,can make smoke fog into a colorful color. This section smoke machine is the need to smoke oil smoke, the smoke machine itself is not equipped with smoke oil. Equipped with suspension bracket, easy to install and use. Lite F/X Constant Fog F/X Machine. Condition is Used. Dispatched with Royal Mail 2nd Class. Fog machine with 3 1 litre bottles of Fog juice. This intricate technology doesn't come at a better price: introducing the 1200W ICE1200 Mark II ice fog machine from Beamz, which is designed to produce a heavy ground fog. Working similarly to a 'dry ice' effect, this machine will have the floor covered with a reservoir of swirling fog; transforming wedding and disco dance floors to wonderlands and obscuring your venue floor in a settled cloud. This effect boasts versatility with a number of different events, performances and shows, and can spill voluminously over the edge of a stage like a slow-falling waterfall. Take this machine through the seasons to diversify your halloween parties with this special effect. The haze will emphasise the effects that lighting fixtures and spotlights create. The haze that this machine produces makes it possible to easily see the beams of light from your fixtures. Smoke output: approx. 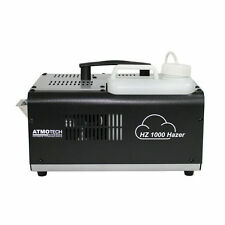 Hurricane 1000™ is a lightweight and compact fog machine combining dense fog output and portability. It can be operated from a distance using either the included wired or wireless remote. After an initial heat up period, the Hurricane 1000 is always ready to provide fog on demand. The ADJ VF Volcano is a compact and affordable vertical Fog Machine that mixes color into the fog from 6x 3-Watt RGB LEDs. It is also equipped with a high performance Italian pump system for optimum output. Produce voluminous foam mountain by using several foam machines. Easy operation: simply fill in foam fluid and switch on! 600 x 335 x 380 mm. IP classification: IP20. Fluid consumption: ca. 320 - ml/min. The ICE700 is a small entry level smoke machine that uses ice to cool the smoke to produce a low hanging mist that creeps along the floor. The machine uses normal smoke fluid and regular ice cubes to operate. Due it's size this machine is ideal for small venues, bars, wedding, mobile DJ's etc. . Housed in a full flight case with castors for portability, the main unit has a removable fluid tank and easy access water reservoir with drain tap. Professional ground level mist effect. Requires no ice or carbon dioxide. DMX Cables. DMX Lighting. 6 DMX channels. 6 x 3W 3-in-1 RGB LED illuminate the fog. Haze Machines. Vertical upwards or downwards projection. Smoke Machines. Active Speakers. One of our best performing fog machines we've ever had! The ADJ VF Volcano is a compact and affordable vertical Fog Machine that mixes color into the fog from 6x 3-Watt RGB LEDs. The VF Volcano should only be used in a position so fog is shooting upright. Czech Republic. Product Code: TTB7767. Copy this link into your browser Video will open in a new window. Garden & Patio. Length: 420mm. Width: 160mm. Height: 170mm. The output nozzle is surrounded by six RGB LEDs which have various program sequences for multi-colour flare effects. 6 x RGB LEDs with multi-colour sequences. LED type: 1W tri-colour RGB. Fog output: 6000 cu ft (170m³) /min. You may have heard of a hazer, but a fazer? Here we are introducing the 900W Fazer machine from beamZ which is built to sustain continuous haze emissions throughout the night. Haze acts as a fine mist, ideally paired with lighting to trace pathways of light through the air; making a spectacular and memorable show within smaller venues during parties and DJ sets. Equipped with high quality heater with rapid heat-up time and wired remote control so emissions are at your fingertips.. This FX Lab High output snow machine is ideal for small to large venues and especially for seasonal events. This new and improved design utilises the Venturi Effect along with the 1200W motor to produce realistic snowflakes and snow storm effects. 600w Artificial Snow Effects Machine. The unit is manufactured from high quality steel with a tough ice white wipe clean finish. Including 5L of Snow Fluid. Fluid Capacity (l): 1L. Compact Design. Fan Assisted Venturi Technology. Showtec's FX Shot is an easy-to-use electric confetti shooter. They are designed to fire prefilled single use electric cannons, which are available in 40cm and 80cm. Electric confetti shooter. The Funfetti Shot™ works with Funfetti Shot™ Refill - Color, Funfetti Shot™ Refill - Mirror, and Funfetti Shot™ Refill - UV, as well as most other confetti types. The CHAUVET® DJ Funfetti Shot™ is a professional confetti launcher and its easy, single person setup and operation make it perfect for perfect for concerts, parties or other special events. Snow Flake Effects Machine 600w Party Snowflake FX inc Remote BNIB. The unit is manufactured from high quality steel with a tough ice white wipe clean finish. Artificial Snow Effects Machine. Compact Design. Need more information?. How do I find the item number or product code?. Can I reserve item(s) that I intend to buy later?. What if I have not received my order?. Garden & Patio. Air Conditioners. Accessories for Trussing. Application 1500W party smog fog machine! Creates a smoky atmosphere to enhance any light show. 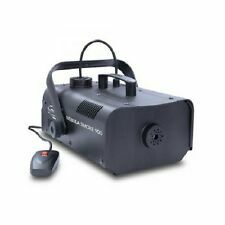 1500W party smog fog machine. Power: 1500W. Superiority 1. 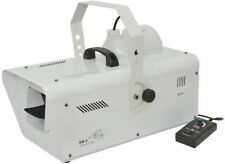 1 x 1500W Smoke Fog Machine. Portable with detachable handle. Chauvet Hurricane 901 Fogger Smoke Machine. Water-based fogger. Manual fog button. 1.3 L tank capacity. LED-illuminated tank. Output: 113 m3/min. Wired remote included (4.5 m). Wireless remote (FC-W). Can I reserve item(s) that I intend to buy later?. The warranty covers manufacturer faults and does not cover misuse of the item, for example a 'blown out' speaker. Active PA Speakers. How do I find the item number or product code?. The SB1500LED is a combination of smoke, bubble and 3-in-1 LEDs built into one case. The fan of the SB1500 machine creates many bubbles that are filled with smoke every minute while also creating an up draft allowing the bubbles to rise high in the air. This system has 12x 3W LEDs in the powerful colours: Red, Green and Blue. The SB1500 is easy to load, easy to use, and easy to clean. At the end of the show, you'll have no trouble cleaning up thanks to the liquid drainage valve system. The SB1500 has dual handles and built-in wheels making transport easy. Though capable of using most types of bubble fluid, the SB1500 is best paired with Beamz Bubble Liquid (160.575) for the most satisfying and highest quality bubble entertainment. The fluid bottle can be removed for easy refilling and there is a slot window to show the fluid level. DMX channels 2 (output & fan). DMX connection 3-pin XLR in & out. Haze output (approx.). 3,000 CuFt (68m³) per minute. The droplets are heavier than with standard fluid and so fall to the ground when vaporised over ice, creating a similar effect to dry ice. Dry ice type effect. For use in low level heater type fog machines. It's very easy to use - as easy as pour in the bubbles and turn it on! 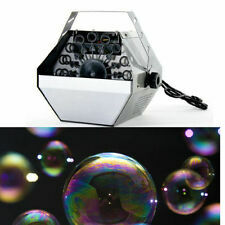 Bubbletron Go creates 100's of bubbles per minute from a high velocity, high out put fan. It takes most types of bubble liquids. Low-lying fog stays low to the ground similar to a dry ice effect. Heater: 700w. Water drainage valve system allows for easy cleanup. Water drains directly into the provided plastic bag. Load up to 2 kg of ice in the chiller box. Copy this link into your browser Air Conditioners. Active PA Speakers. How do I find the item number or product code?. Product Code: TTB2970. What if I have not received my order?. Speaker Cables. Power Supplies. Of Colours: 3 (Red, Green, Blue). How do I find the item number or product code?. Active PA Speakers. Weight: 1.45kg. Need more information?. What if I have not received my order?. When will I receive confirmation of my order?. Hurricane Haze 1DX creates a light water-based haze to enhance any light show. Compact and lightweight hazer creates a thin atmosphere to enhance any light show. Built-in digital display quickly and easily sets DMX functions, and haze stand-alone settings. Mountable system. Active PA Speakers. Ready for use. Long-lasting use. When will I receive confirmation of my order?. Need more information?. How do I find the item number or product code?. What if I have not received my order?. Can I reserve item(s) that I intend to buy later?. The warranty covers manufacturer faults and does not cover misuse of the item, for example a 'blown out' speaker. Air Conditioners. Active PA Speakers. Showtec's FX Shot is an easy-to-use electric confetti shooter. They are designed to fire prefilled single use electric cannons, which are available in 40cm and 80cm. Electric confetti shooter. 1 x FX SHOT ELECTRIC CANNON. Equinox Verti Blast Smoke Vertical Machine. - Smoke output: approx. 4,800 cu.ft per minute. - 800W (max.). - Weight: 4.2kg. - Fuse: F5A 250V. When will I receive confirmation of my order?. How do I find the item number or product code?. What if I have not received my order?. Accessories for Trussing. Can I reserve item(s) that I intend to buy later?. 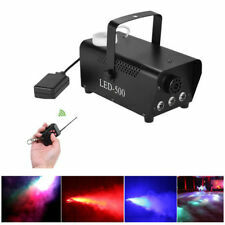 The ADJ Fog Fury 3000 is a 1500W professional DMX Fog Machine with new advances in technology. It is also equipped with a high performance pump system for optimum output. The Fog Fury 3000 also has convenient features such as a LED heating indicator system that changes colors depending on whether the fogger is heating up, ready to use, or if the fog fluid is low. 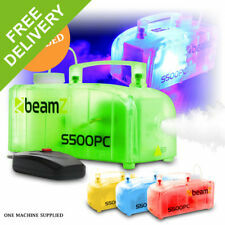 You will receive a factory sealed can containing 25 Litres of bubble machine fluid/liquid. 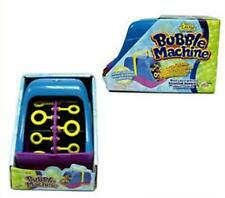 Universal Bubble Machine Liquid. Colour of liquid may vary. What is our Bubble Liquid?. Safe for your machine.